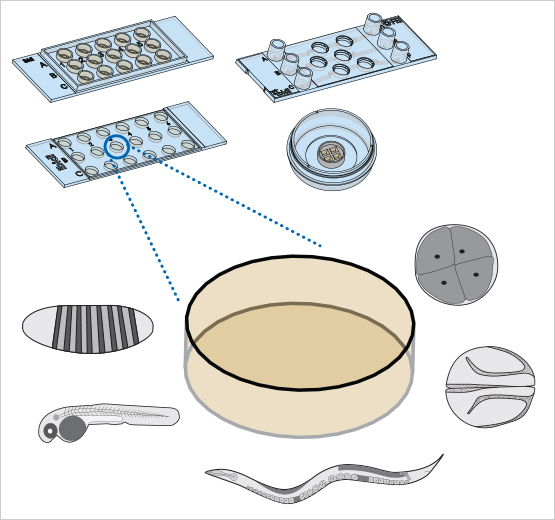 The small ibidi wells are applicable for microscopy assays that use small organisms or embryos (e.g., Xenopus eggs, Drosophila embryos, C. elegans, Zebrafish (Danio rerio), etc.). 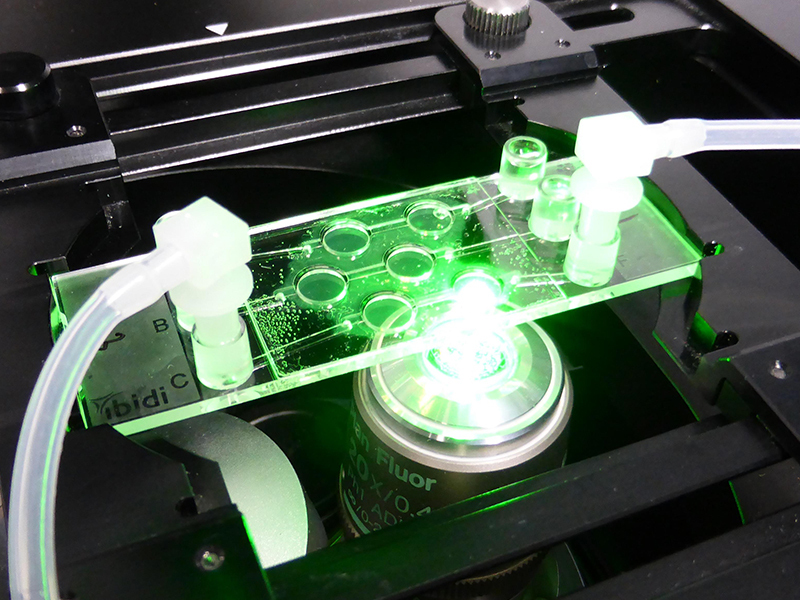 High resolution fluorescence microscopy is possible without any restrictions.m cell differentiation studies. 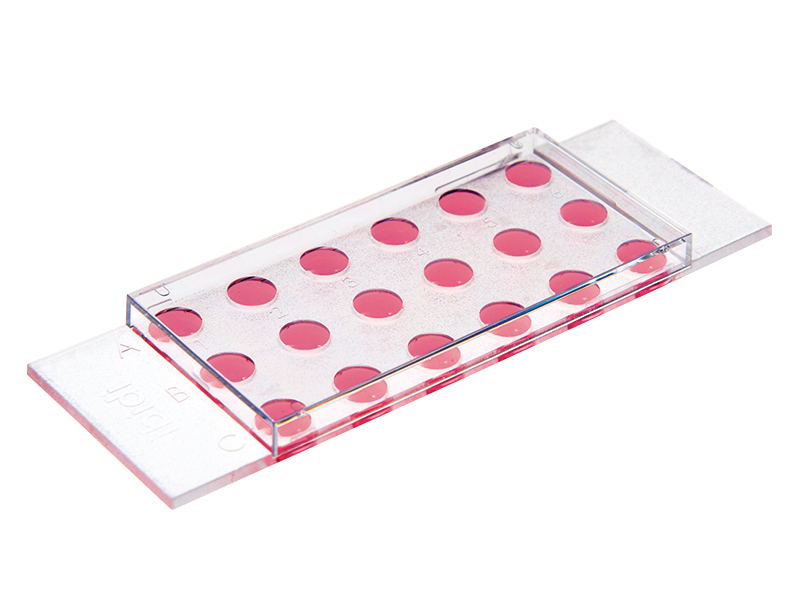 The μ-Slide 18 Well - Flat provides 18 flat wells for imaging multiple organisms at the same time. 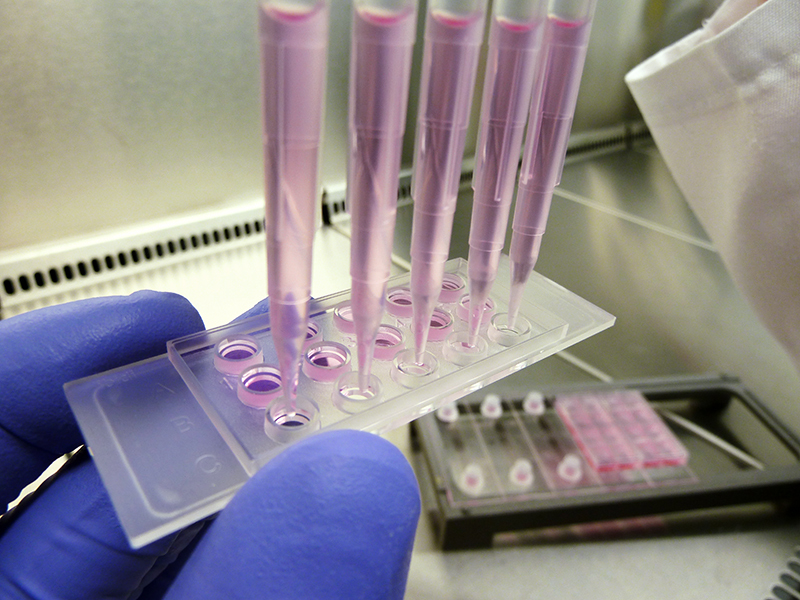 The flat design is optimized for short-term assays or for working with fixed samples. 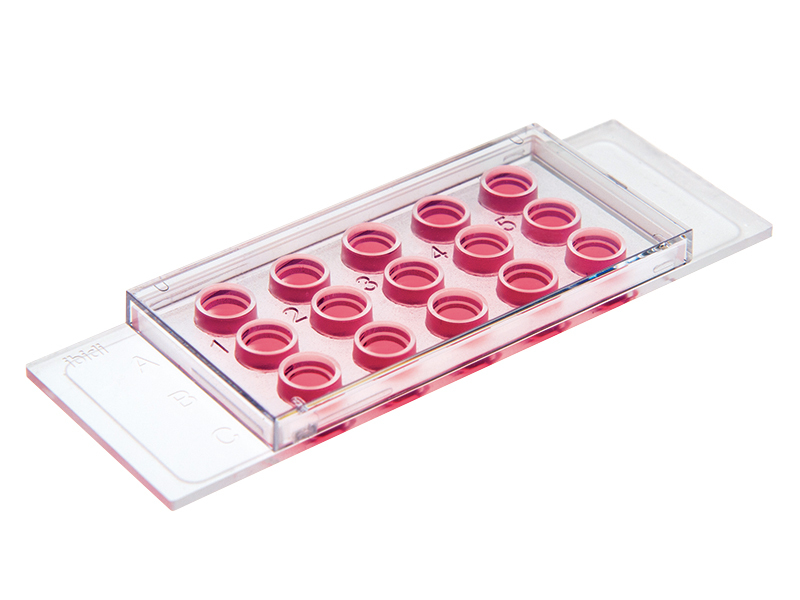 The µ-Slide Angiogenesis provides 15 wells with an additional well-in-a-well feature. This allows you to embed organisms in the minor well, while still having full fluidic access via the upper well. 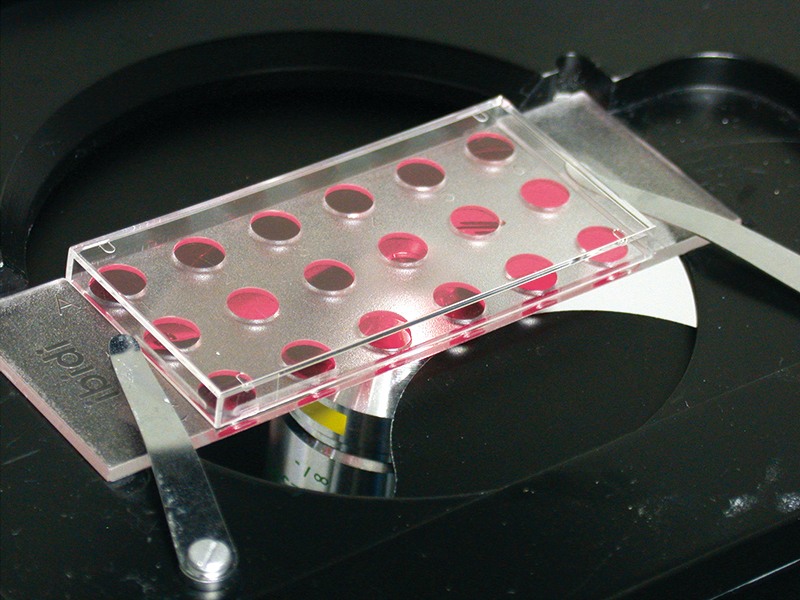 This setup is less susceptible to evaporation, which makes live cell imaging possible over days. The micro-Insert 4 Well is a removable silicone chamber with 4 conical wells. The insert can be placed on every flat and clean surface. 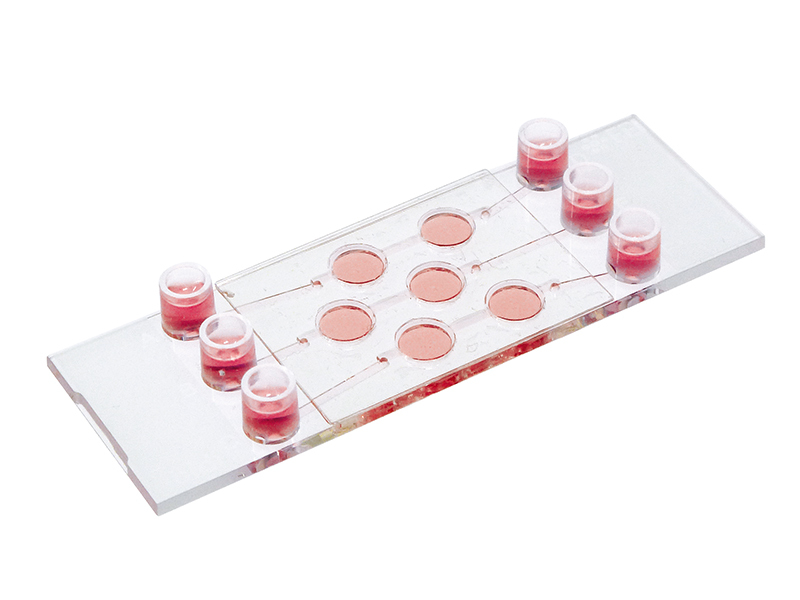 The µ-Slide III 3D Perfusion is especially suited for small organisms, since they can be immobilized in the wells, while a gentle perfusion is applied over them. The perfusion allows for long-term cultivation, because nutrients and oxygen are delivered by a constant flow of growth medium over the sample. 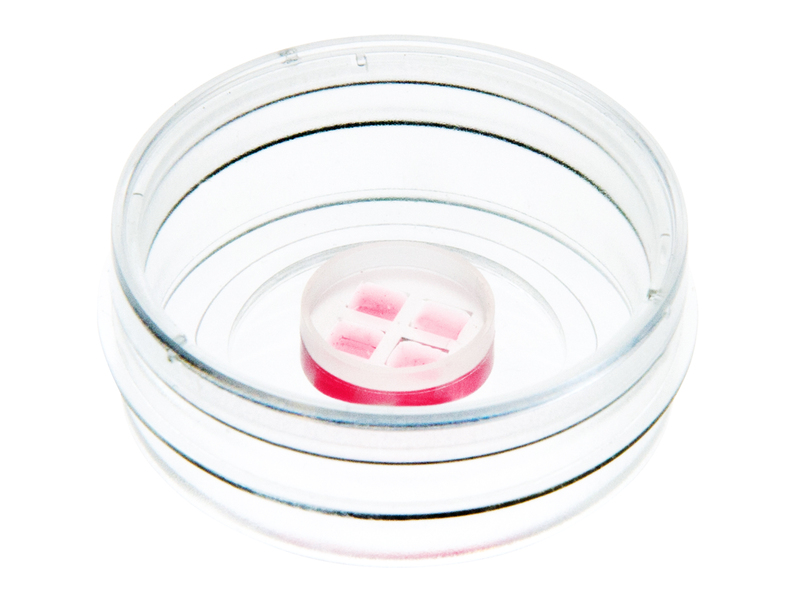 For the mechanical fixation of small organisms, we recommend using a gel matrix (e.g., an Agarose gel, a Collagen gel, or Matrigel).